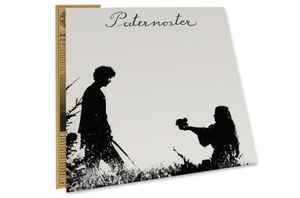 Before releasing their lone self-titled debut album, Paternoster provided the soundtrack for a film that could only have been made while the psychedelic movement was still in its first wave. The group’s first recordings presented here are the soundtrack for Herbert Holba’s 1971 hippie sci-fi film Die Ersten Tage (The First Days), screened at the Berlin International Film Festival, and interestingly played on Austrian TV in August of that year. The material issued here is the genesis of Paternoster and set the stage for the release of one of the world’s great rock albums with their self-titled debut the following year.